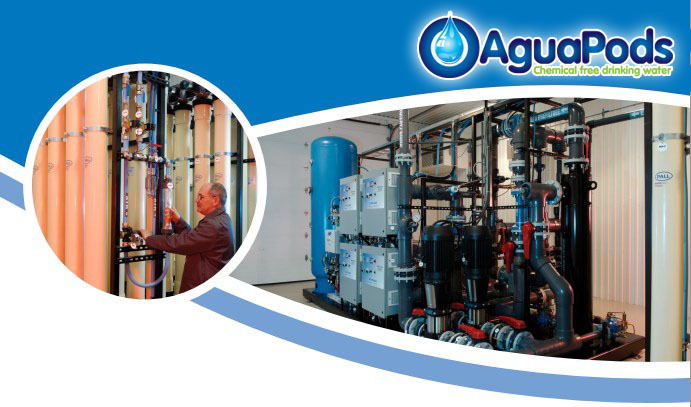 Aguapod`s commitment to quality means innovative thinking…rigorous science…and responsible action! The AguaPods solutions is powered by Dagua. It uses proven and recognized technologies combined with a highly effective ozonation process. Ozone is a natural disinfectant gas manufactured by subjecting ambient air to an electrical field. An exceptionally powerful substance, ozone is known to be considerably more active than chlorine. That is why many major European and North American cities, including Montreal, Los Angeles and Paris , use ozone to treat their drinking water. 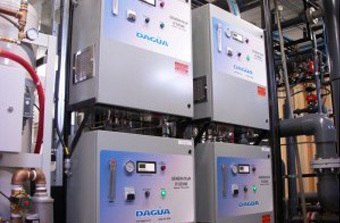 Over the years, Dagua has developed leading-edge expertise in ozone generation and the diffusion of ozone in water for the development of water treatment systems that deliver unsurpassed performance. AguaPods unique patented treatment process involves an innovative combination of ozonation and membrane filtration. Conventional membrane filtration often presents significant technological challenges, including the excessive fouling of membranes, frequent chemical cleaning and unnecessary water loss through the regular maintenance of system components. 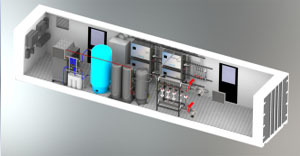 The AguaPods solution lets you avoid all problems arising from the complex management of chemical products. 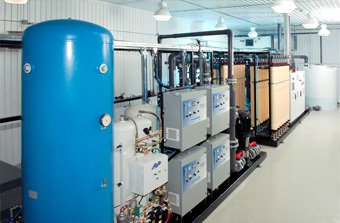 In 2002, Dagua became the first Canadian company to receive a certification from the Québec Department of Sustainable Development for its new drinking water treatment technology. After several pilot projects on exceptionally hard-to-treat water and following independent assessments required by the government, Dagua now has five certifications to its name. These certifications are yet another Québec first in drinking water treatment for Dagua! 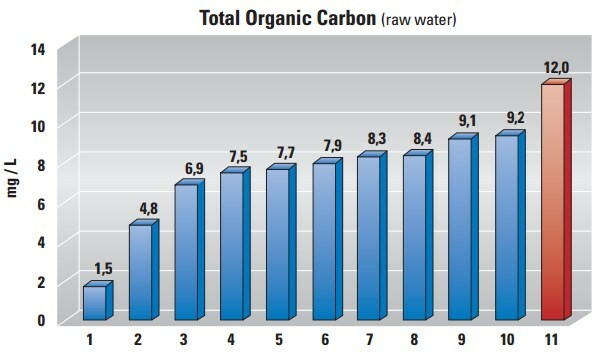 The official performance results for the DaguaFlo-UMF and DaguaFlo-IV solutions, approved by the Québec Department of Sustainable Development, are summarized in Table 1. 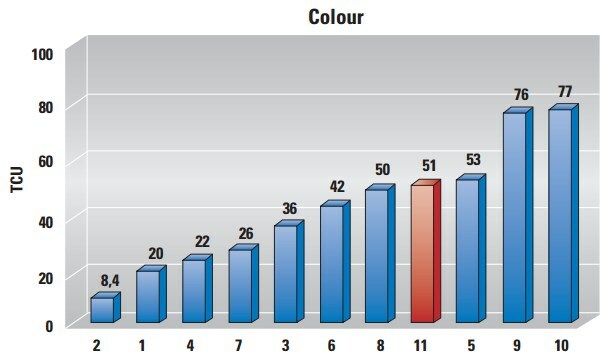 These results were obtained through rigorous scientific testing and clearly illustrate the ability of the DaguaFlo solution to deliver top-quality drinking water that exceeds Québec’s stringent regulatory standards. Among the best treatment capabilities in the industry. See for yourself! 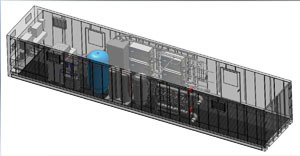 When it comes to treating drinking water, DaguaFlo technology is top tier. In fact, Aguapods ranks first among Canadian companies providing global water treatment solutions that are certified by the Quebec Department of Sustainable Development on all of the key parameters measured (turbidity, TOC and colour). AguaPods certified process requires no chemicals for its operation and regular maintenance, and uses only a small quantity of water (5 to 10 times less than some membrane alternatives) to clean plant components. Unlike most alternative water treatment solutions, the AguaPods process uses no coagulants or flocculants to treat raw water, even when contaminant content is exceptionally high. With the AguaPods solution, chemicals, expensive handling and complex disposal infrastructures are all things of the past. 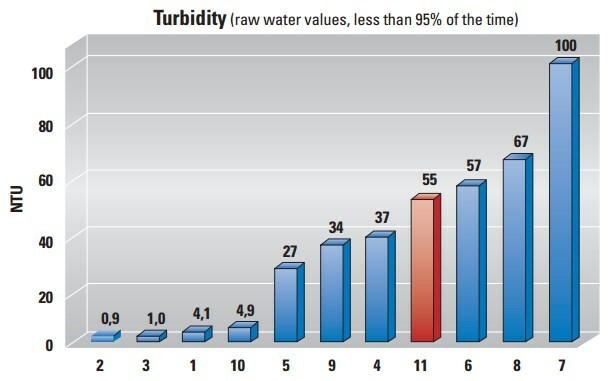 Waste cleaning water can be returned untreated to the natural environment or to a settling tank. These are just a few of the unique operational characteristics that open the door to multiple benefits for our clients. 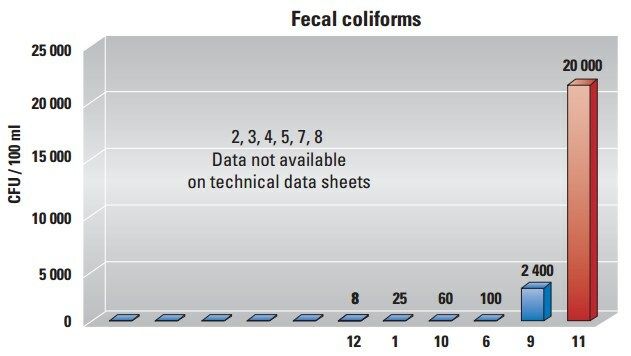 Disinfection, including the elimination of viruses, bacteria and coliforms in water.